And tips to tidy up your life, starting today. Unanswered emails, work papers scattered across your desk, dozens of open tabs on your internet browser, unused clothes and items that collect dust—these are examples of the clutter in your life that cause stress and anxiety. The harder you try to stop new clutter coming in—the more stressed, anxious and overwhelmed you feel. It’s a vicious cycle that could be holding you back from living the life you really want. Luckily, there’s a way out. By understanding how clutter affects your life and taking action to declutter, you can finally escape and live a stress-free life. The stronger the emotional connection to the item, the more difficult it will be to let go because it’s more painful. There are also two additional forces driving clutter and stress—the endowment effect and loss aversion. The endowment effect is our tendency to place higher value on items we own than on the identical items that we don’t own. Loss aversion is our tendency to avoid the pain of loss, more so than the benefit of gaining. These forces interact with each other, driving you to acquire and keep clutter that causes stress and anxiety. Clutter isn’t just physical. It could also be mental, emotional, spiritual or digital. Any one or a combination of these could lead to high levels of stress and anxiety. The more clutter or possessions you have to deal with, the more overwhelmed you will feel due to the anticipated pain of loss. For example, a UCLA study of 32 families discovered that mother’s had elevated levels of stress hormones whilst sorting out their possessions in their homes. Another study by the Princeton University Neuroscience Institute, discovered that individuals surrounded by physical clutter in a disorganized environment are less productive and more distracted than otherwise. These are a few examples of how clutter negatively affects your life. If you want to alleviate your stress and anxiety, the first step is live and work in a clutter-free environment. Feng Shui is the Chinese philosophy of designing an environment for better well-being. Here are some Feng Shui methods and other strategies to help you alleviate stress and anxiety from your life. 1. Clean your Bedroom and Kitchen. There are several places you could begin to cut out the clutter. For example, if you have many tabs opened in your internet browser at any one time, you could cut this down to 3 tabs at most. The first two places to address stress would be your bedroom and kitchen. Aside from its cleanliness, the bedroom should also be free from electronic devices and equipments. Unused and worn out clothing and items in your closets could also be given away or donated to a charity. Similar rules also apply to the kitchen area. The general idea here is to let go of any items that don’t reflect the internal state you aspire to have. If you want a state of mind that is healthy, clear and stable, your immediate environment should also reflect this too. I’d assume you’re a busy person with many responsibilities and a never-ending list of things to do. Clutter always seems to find its way into your life. Instead of waiting for the clutter to build up, why not prevent it from occurring in the first place? For example, if you own an iPhone, you could select the “Do Not Disturb” mode whenever you’re working to prevent incoming calls. There are also settings that allow calls from specific people i.e. Immediate family, in case of emergency, whilst muting the rest of the callers. You could apply the same strategy to prevent mental clutter. Do you start your day filling your mind with positive, uplifting information or negative, discouraging messages? If the first thing you read when you wake up every morning is the general news on politics, wars and deaths, you’ll most likely struggle with stress and anxiety throughout the day. If you regularly hang around people who are constantly stressed, dismissive and low in self-confidence, you’ll start to pick up on their energy and mental thoughts as well. The clutter that fills your mind can be just as destructive as the clutter in your physical environment. 3. Use the four box method. The four box method is a simple strategy that helps you to cut the clutter out from your life. Step 1: Find 4 boxes and label them as follows—keep, sell/donate, store and trash. Keep are items you use regularly and are aligned with who you want to be. Sell/Donate are items that you plan to sell or give away to your favorite charity. Store are items that you don’t use regularly, but can’t get rid of. These should be stored as much as you have available storage space. Trash includes unwanted or unused items that are too damaged to be donated or sold immediately. As useful as the four box method could be for you, the anticipated overwhelm from the work of sorting your clutter could cause procrastination. The best way to overcome this is to start small and block out short weekly sessions to declutter. For example, you could block out 20 minutes every Saturday morning at 11 a.m. for cleaning up your environment. Living a clutter-free life is a lifestyle, not a one time event. One of the biggest challenges in getting rid of our clutter is the attachment we have to our items. It can be extremely difficult to hold an item you highly value, put in the trash and throw it away. There’s a psychological trick to overcome this—instead of cutting out the clutter by yourself, why not get someone else you trust to do this for you? You could write out a list or take pictures of items for your “trash” category and give them to someone else to sort this out and throw it away. This way you can minimize the pain felt from the loss of your items. Your body is always taking cues from your environment on how it should respond. Think about the last time you traveled on a holiday to a different country. You were more relaxed, less stressed out and anxious than back at home in your usual environment. Often, we think that it’s the sunny beach holidays that reduces our stress, but this isn’t necessarily true. It’s the fact that you moved to a more clutter-free environment, that explains why you feel less stressed out on holidays. You don’t need to wait for a few weeks every year to experience this. You can cut the clutter from your life and live a stress-free life today. 1. Yale Study. Tolin DF et al (2012). 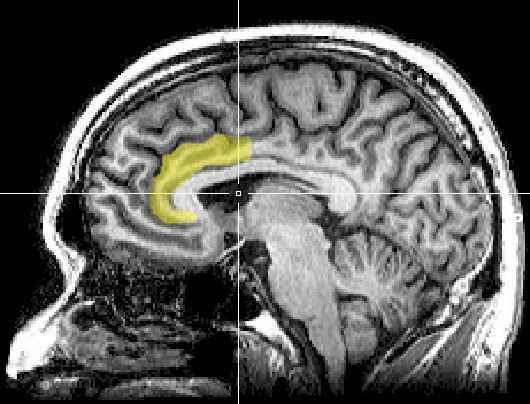 Neural mechanisms of decision making in hoarding disorder. 2. Credit to Mikael Cho and Marie Kondo for inspiring some of the ideas in this post. A version of this article originally appeared at mayooshin.com on November 13, 2017 as How Clutter causes Stress and Anxiety (and What You Can Do About It). Keynote speaking: Invite me to speak to your team or organization about building habits for improved all round performance.